Learn to create a linocut print and walk away with a winter botanicals themed work of art in time for holiday gifting! Love a bold print? This workshop is for you! 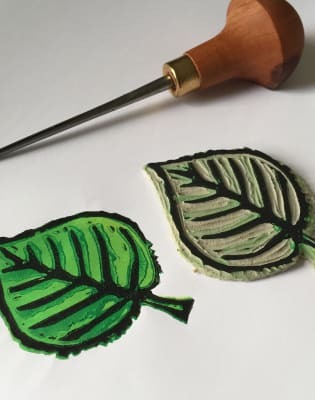 From start to finish, you will learn how to draw, cut and print your own A5 lino-printed design in a single colour. You will print several of your design - in different colours and on different papers. There will be an option to work into prints with other materials before and after printing. You will be able to take your printing block away to continue your printing adventure at home. The inspiration for the workshop ties in with the amazing surroundings of the Green Rooms Market and we will be looking at winter botanicals. Winter Botanicals Trivia! Some historians believe the connection between mistletoe and a kiss comes from ancient Norse mythology. According to legend, the God, Baldur, was killed by an enemy's arrow made of mistletoe. His mother, the goddess Frigg, wept tears onto the arrow. Her tears turned into white berries that she placed onto Baldur's wound, bringing him back to life. Overjoyed, Frigg blessed the mistletoe plant and promised a kiss to all who passed beneath it. I attended the Autumn Botanicals workshop at The Department Store in Brixton and had a wonderful time! Kaylene was friendly, informative, and hilarious. Despite having no artistic ability, she made me feel like I was Van Gogh! Would absolutely take a class of hers again!!! Kaylene trained in Fine Art and Art History in Canada before moving to the UK to complete a Post Graduate Certificate in Education with a specialism in Visual Art. 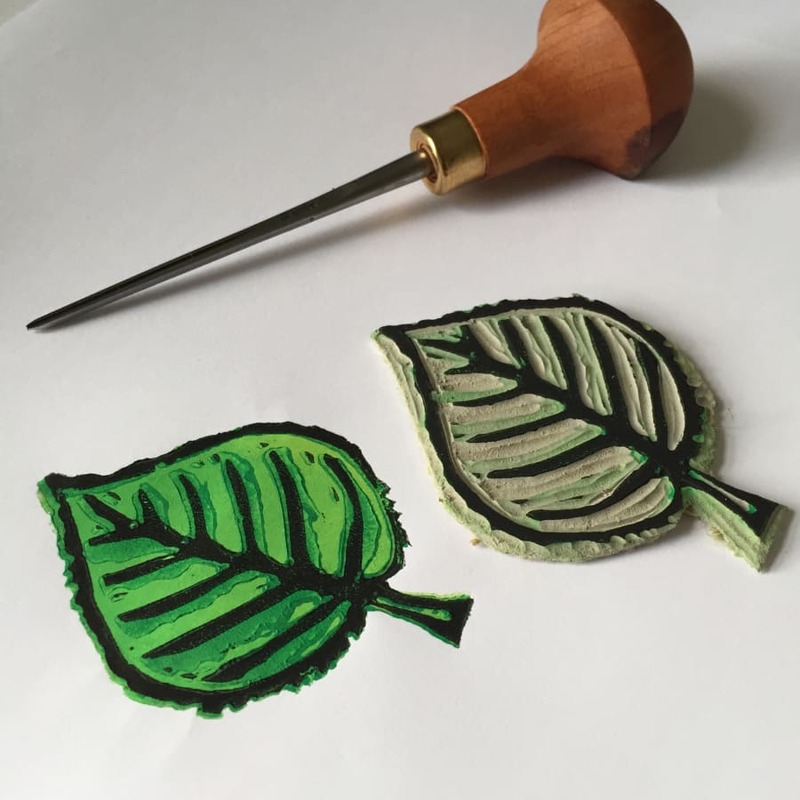 She has taught primary school art for 13 years and continues to develop her own practice as an illustrator and printmaker; creating work for clients and selling prints in shops and galleries, as well as online. She has planned and taught workshops for organisations such as the Southbank Centre, Pop Brixton and Squire & Partners Department Store, Fathom Architects and enjoys teaching adults and children alike. 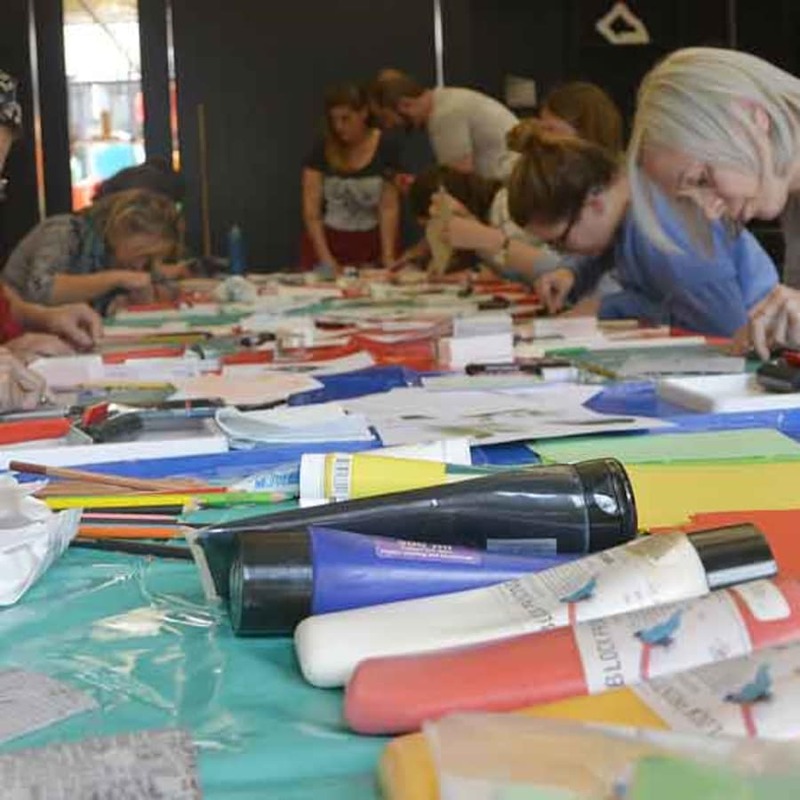 If you have a space and a need, Kaylene would love to speak to you about creating a bespoke workshop. Or get a gang together and choose an 'anytime' class. We will be using water based inks but lino printing can get a bit messy! Best to not to wear your best.